1. Ride my bike more. 2. 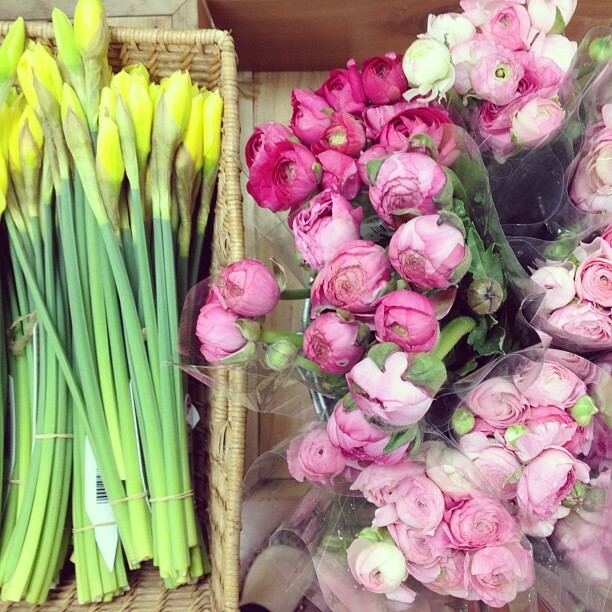 Keep fresh flowers around. 4. Picnic in the park. Tis the season! 5. Find the perfect bike basket. 6. Take a day trip. Levee high apple pie, anyone? 8. A fancy dress party. Costumes are the bees knees, y’all. 9. Visit the Thaxton Speakeasy night of bathtub gin & hot jazz. 10. Go to more movies. If only for the milk duds. Now that the weather is finally perking up what are you planning to get out and do? Glad to see you back. This is a perfect Spring list. Can’t wait to hear aboput your freelance venture. In relation to #3….Let’s have a clothing swap! I need to do a closet purge too. I’m excited to BBQ and have outdoor dinner parties with friends and family! Oh and Twilight Tuesdays and free music on Wednesday nights at MO Botan!! Oh and float trips on the Current River, there are so many things to do in STL/MO in the summer yah!! So happy you are back! I love your spring list. Here, it is autumn, so I have a different agenda, but amongst other things I will be quad riding and learning to play the guitar! I wish you the best of luck for your freelance adventure; always remember: “The happiest people don’t have the best of everything, they make the best of everything.” You’ll be grand! I can’t freaking wait, this winter has been a major buzzkill for me, it’s amazing what a little more sunshine and warm, fresh air can do for your soul!